It’s November and as usual the air quality in North India has dropped to horrible levels – if you’re in Delhi, your eyes are likely burning, your head hurts, and you’re coughing regularly. One thing that’s essential to do at this point is to buy an air purifier, and we’ve done some useful testingthat can help you make a decision. But of course, you can’t stay in your home or office throughout the day. At some point, you’re going to have to make your way through the grey-brown haze that is the city, although we’d sincerely suggest you try and explore work-from-home options first if you can. If there’s no alternative then you absolutely need to wear an air pollution mask. There are a number of different options, and last year we’d tried some of the popular masks on the market. We explained why you need a pollution mask (or respirator) and not just something like a surgical mask. We also looked at some of the different types of masks, such as N95, P95, and R95. We talked to a lot of experts and people using these products, and also spoke to the companies that make some of them, and most agree that to deal with Delhi’s pollution, you should invest in N95 masks. These are cost effective, and permit only five percent of all particulate matter to pass through while allowing you to breathe. The better ones come with breathing valves to allow you to breathe freely as well. You can see the various picks above – and the prices are linked to online stores where you can buy the masks. Read on to know more about the different ones and the pros and cons. PM 2.5 particles from sources such as vehicle exhaust (or from burning crops), tobacco smoke, burning candles and lamps, cause haze, coughing, runny nose, and shortness of breath. When buying a mask, make sure that it is N95 certified as lots of cheap masks have not been tested for filtration performance. 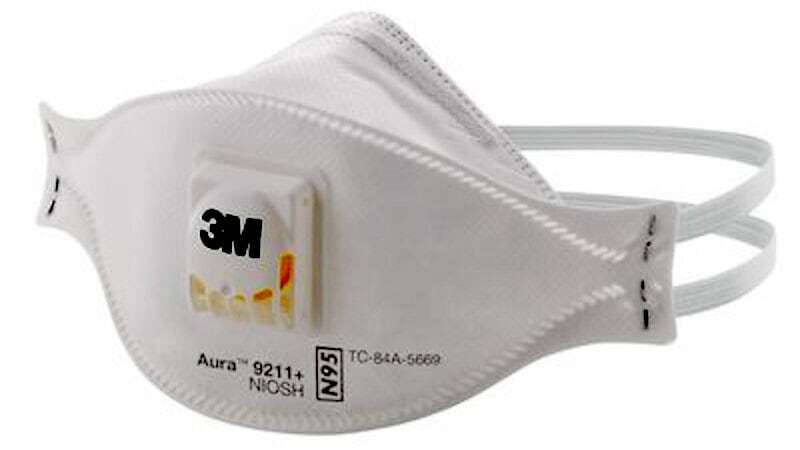 Surgical masks are designed differently, and won’t really help you either, so please buy N95 masks. 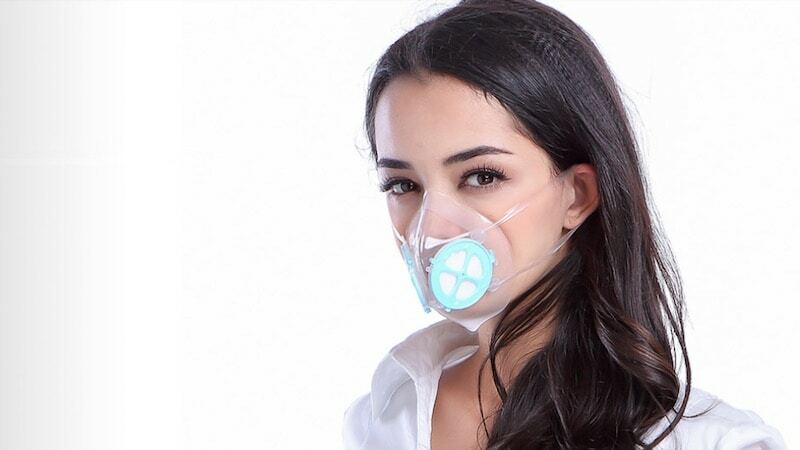 Gadgets 360 had earlier spoken to Vibhor Jain, CEO of Atlanta Healthcare, about the different pollution masks and why they’re necessary. Jain stressed on the importance of buying properly certified products that have been tested scientifically. He told us that while Delhi is a very big market for air pollution masks, the need is spread across the country. “Things might be worst in the North, but air quality is bad everywhere and we are all going to have to take steps to improve the quality of life,” Jain said, adding that cities such as Bengaluru and Chennai are also proving to be successful markets for these kinds of products. ALSO SEEDoes the Invisible Nosk Air Pollution Mask Really Work? Atlanta Healthcare’s Cambridge Masks are definitely on the more expensive side, with prices starting from around Rs. 1,500 and upwards. However, these use military grade filters, and the company says it removes 99 percent of particles. It’s also got a carbon fibre layer which traps bacteria and viruses, and also helps filter out bad odours. Vogmask is similarly priced, and has become quite popular at offline locations in Delhi. In terms of specifications, these are quite similar to the Cambridge masks, rated N99, that is effective against 99 percent of particulate matter. 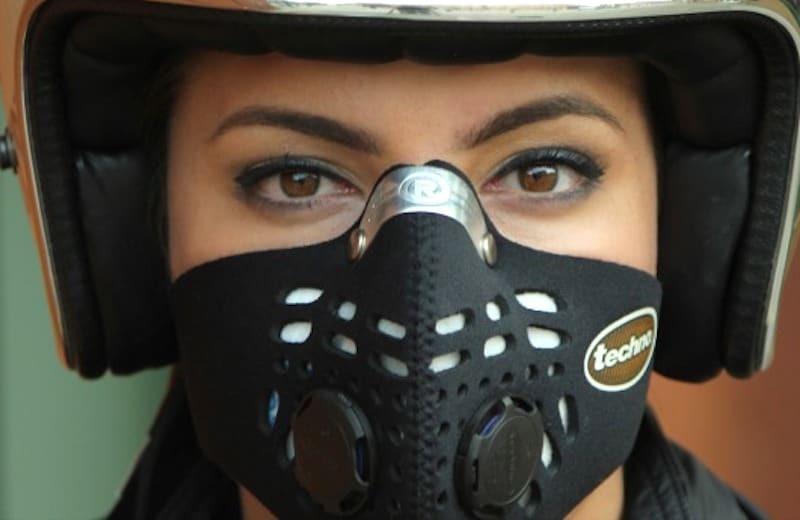 These are also nice looking masks, with a carbon filter, and either one or two valves. They are a little bit more expensive, but are easily available offline as well, which might tilt the scales in their favour. Both these masks can be used for up to six months – if there’s a lot of pollution, it’ll become hard to breathe through and in that case, you can rinse it under running water. Don’t use high heat or pressure, and don’t use soap or detergents; just plain running tap water for 10 – 15 minutes will do the job, according to the retailers Gadgets 360 spoke with. Even if you’re looking for something cheaper, go with a branded product, like a respirator from a company like 3M or Honeywell, which have been making such products for a long time for industrial uses. Instead, look for a mask that is securely fitted with two straps, and comes with an adjustable nose clip for a better, more secure fit. “Additional comfort can be provided by an exhalation valve fitted on these respirators that prevents the buildup of hot and humid air exhaled inside the respirator during breathing,” the 3M representative added. 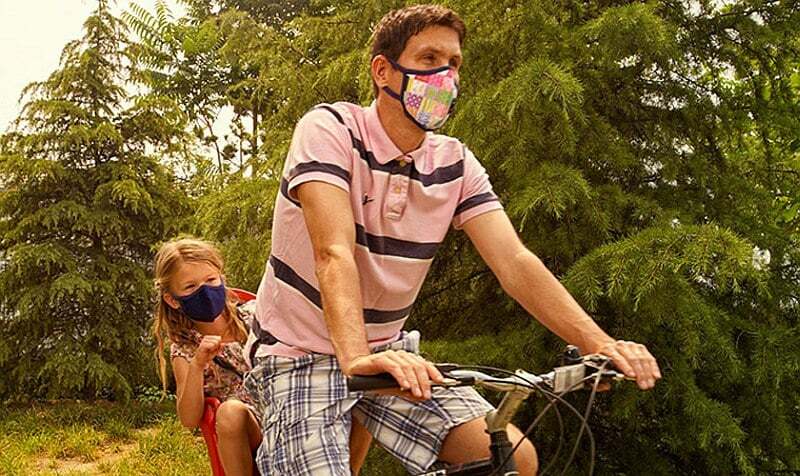 These masks also got an unexpected endorsement from Xiaomi’s Jai Mani on Twitter, who shared a link to a 3M N95 respirator that he uses. The Chinese smartphone brand also makes a very popular air purifier, the Xiaomi Mi Air Purifier 2, which we have used and liked as a good value for money option. Both 3M and Honeywell make cheap respirators that don’t come with a breathing valve, but those get a little uncomfortable to wear over time. Instead, go for one of the masks with a breathing value – Dettol also has a mask in this category, and most are in the same rough price range. One mask that was recommended to us by fitness minded users is the Respro Techno. It’s a little on the expensive side, but according to people who are quite active, it’s worth the extra money. This sporty looking mask has an adjustable nose fitting, and dual valves. It’s well suited for outdoor activities, and then folds up to fit into your pocket. The filter is removable and replaceable, so you can wash the mask by removing the filter, and replace that whenever needed without having to buy a new mask. The big plus point is good air circulation when breathing outwards, people said. The Respro Techno is not N95 rated – rather it’s been tested to the European equivalent, P1 rating. Another mask which we haven’t tried, but was spoken very highly of by most of the people that Gadgets 360 spoke to is also the most expensive one in the list above – the Totobobo. Aside from an amazing name, this mask is interesting for its design – it gets moulded to your face (using warm water) for a good fit, and when worn, is transparent where it’s in contact with your skin, and translucent otherwise. This means that you can just stand in front of the mirror and ensure that you’ve gotten a good seal on the mask. 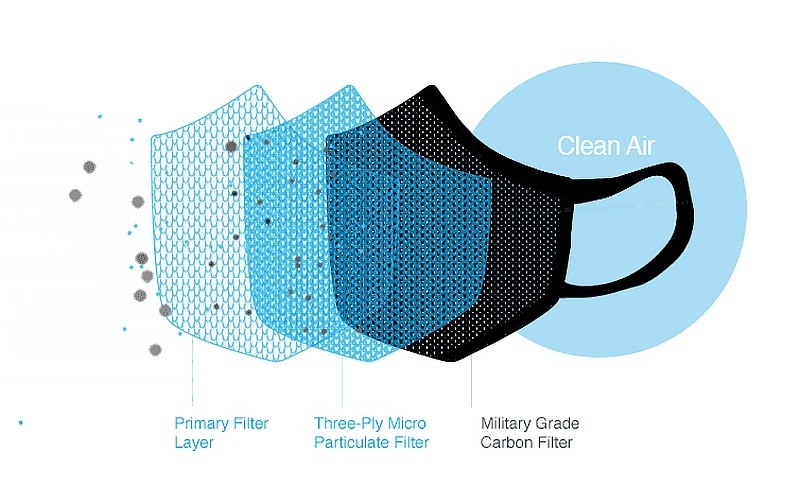 The mask part is transparent, while the filter is white, which means that you can also easily see it get filled with the polluting particles, making it very easy to tell when it’s time to replace the filters. It’s definitely expensive, but came highly recommended by multiple people Gadgets 360 spoke to. On the minus side, these look the strangest of the bunch, and are also the most expensive, so might not be the best option for everyone. Hopefully, one of these eight masks will fit your particular needs, and you will be able to gain some respite from the tremendous Delhi smog. If you’re not using an air pollution mask, why not? And if you’ve bought one, tell us and the other readers about your experience via the comments below.